I read Rebecca a long time ago and remember that I loved it, so I decided that I had to request this biography of Daphne du Maurier! Manderley Forever is told in two parts. 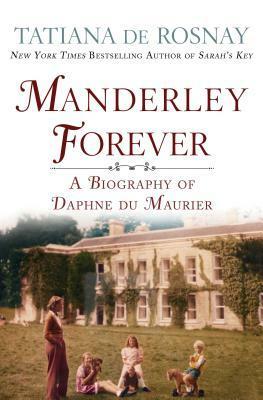 One is the author's own journey to various places of significance in Daphne du Maurier's life, which opens each chapter, and the other is the biography, told in the style of a novel (with third person narration). To be honest, the author's pilgrimage didn't feel necessary, and I wouldn't have missed anything if it was cut. It just wasn't long enough and didn't enhance the story of Daphne du Maurier's life to me (and I didn't feel a connection with the author either). Another quibble I have is that the book talks a lot about how Daphne feels at times and it does so with no room for ambiguity. It does seem very well-researched but I do wonder how accurate one can be at guessing at the emotions of someone else - were the letters and other materials that survived that comprehensive? That being said, the book succeeds very well as a biography. The writing style was a little weird at first, but by the end of the book, I felt like I had come to know Daphne du Maurier pretty well. And even more importantly, it made me want to read all of her books (pity the NLB only has 3 of her books in ebook form). So I will. I'm going to start with Rebecca, even if she did get sick of it, and read the other two between books.